As a guitar virtuoso, Prince was also known to have a very stylish and flamboyant custom guitar collection, which consisted of 121 guitars. Some of his flamboyant guitars consist of the Cloud Guitars, which were commissioned and released in colored versions of white, yellow, and purple. 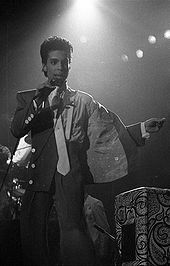 The white-colored version is prominently shown in both the Purple Rain film and the "Raspberry Beret" video. 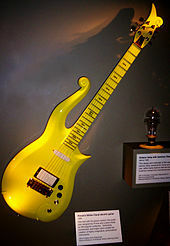 Other notable guitars are The Love Symbol guitars, which were designed in the separate colors of gold and purple. The guitar that was used for the majority of Prince's music career was the H.S. Anderson Madcat guitar – a Telecaster copy created by Hohner. 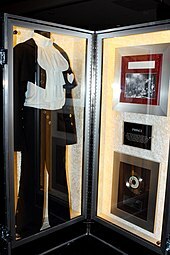 Several versions of the guitar were used throughout his career – due to one being donated for charitable reasons, while one or more were stolen. Two other noteworthy guitars are the G1 Purple Special, and the black-and-gold Gus G3 Prince bass, which would become the last two guitars to ever be made for the artist.